Last time Sofie Grabol was involved with a gruesome TV murder series, the fashionable landscape was transformed by that jumper. 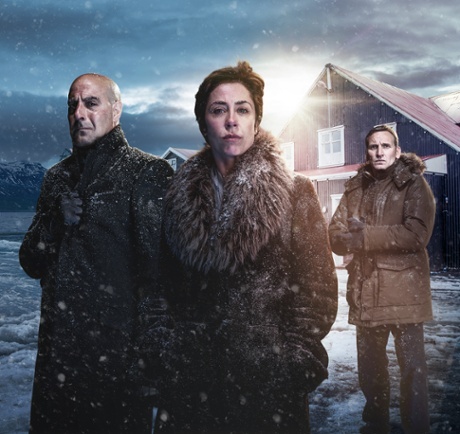 Her new series, heading to Sky Atlantic in the New Year, sees Grabol play Hildur Odegard, governor of the Icelandic town of Fortitude. Grabol’s cute gamine crop and fur collars look to be nicely set off by all that snow. Watch closely, and not just to find out whodunnit. The Oscars are coming! Can Jennifer Aniston do a Matthew McConnaughey, and win a gong for her breakthrough post-candyfloss role, in Cake? Will Keira Knightley be rocking red-carpet maternity, for The Imitation Game? Or will Patricia Arquette revive our Boyhood-induced girlcrush? Get your DVD revision nights booked in now, so you can be all-knowing on the night. 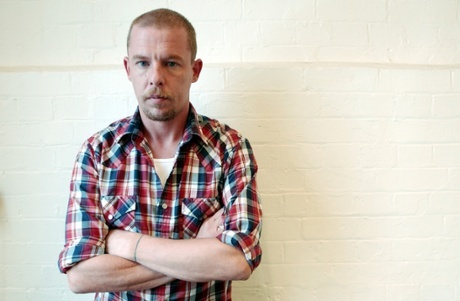 It’s been a long time coming, but here it comes: Savage Beauty, the Alexander McQueen retrospective which broke box office records during its run at the Metropolitan Museum of Art in New York, arrives in McQueen’s home town with an opening at the V&A in March. Book your tickets now – and be sure to check in online on what is sure to be a spectacular red carpet, on opening night. Looking for a companion piece to Alexa Chung’s visual autobiography, It, to sit between those House of Hackney bookends? The wait is over: Chloe Sevigny is collaborating with the gorgeous-coffee-table-book powerhouse that is Rizzoli for a “Chloe Book”. 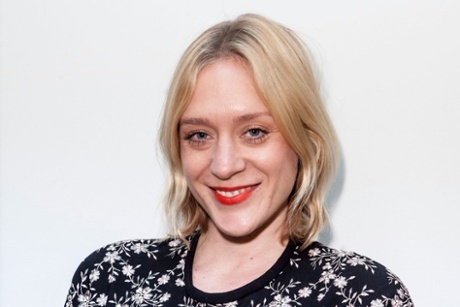 The book – which Sevigny herself disarmingly noted in a recent interview “sounds really narcissistic and annoying” will be a scrapbook of images and ephemera tracking Sevigny’s look back all the way to the seminal days of ‘Kids’. The Met’s annual costume exhibition is a game of two halves. The click-bait part is the opening night Met Ball; the highbrow part is the show itself, which sets the dress code for the party. This year’s show is entitled “China: Through the Looking Glass” and is already stirring up controversy on opposing fronts. Eyebrows have been raised on the Upper East Side about the theme being picked for commercial, global-sponsor-friendly reasons rather than highbrow curatorial ones. There are concerns, also, that the dumbed-down, red carpet version of Chinese style will be, as Jezebel put it, a bit chopsticks-in-the-hair. Frocks and controversy? Yes please. The gala is to be co-hosted by Marissa Meyer, Jennifer Lawrence, Wendi Deng and Anna Wintour. Put May 4th in your diary to scroll through some sure-to-be-entertaining pics. Hello? Is it me you’re looking for? Of course it is! 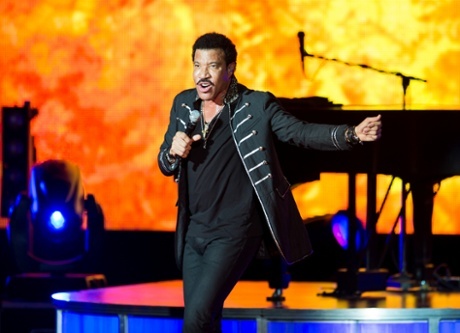 Lionel Ritchie takes a baton passed on by Dolly Parton, with the teatime slot at Glastonbury on Sunday. And everyone knows that it’s the festivals which set all the summer trends, these days. So what will it be: the moustache and mini-goatee? The crucifix necklaces? Evening pottery classes? Whatever – count us in. All night long. In a world where the moniker ‘style icon’ is woefully overused, the National Portrait Gallery will remind us what the real deal means with ‘Audrey Hepburn: Portraits of an Icon’, which opens.. Hepburn’s image is rarely more than a click away, in fashion – if we had a Mount Rushmore, those perfect cheekbones and eyebrows would surely be carved into rock. 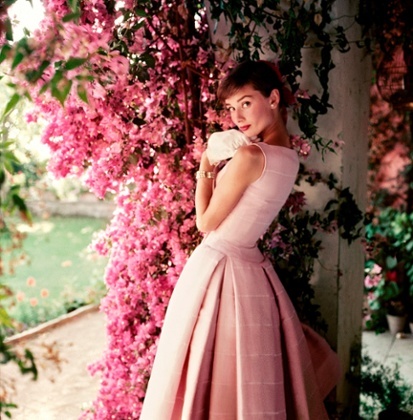 This exhibition will trace her image from an early career as a chorus girl, through the dreamlike Givenchy years – look out for that gorgeous Norman Parkinson portrait, standing in an Italian arbour of bougainvillea, in a rose ballgown – via the knowing, almost parodic elegance of 1961’s Breakfast at Tiffany, to Hepburn’s work as a humanitarian later in life, before her death in 1993. Save yourself the six hour car journey. This summer, St Ives is coming to London with Tate Britain’s major retrospective of Barbara Hepworth. 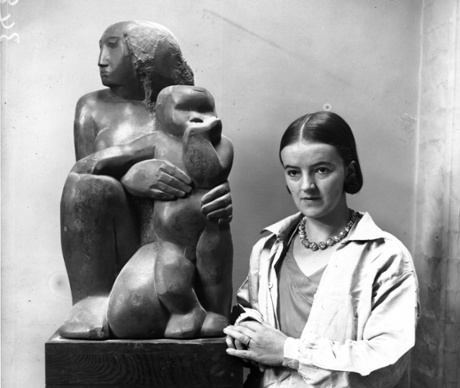 Hepworth’s ovoid, feminine sculptures and organic, textural contrasts have always been beloved in the fashion industry. In 2013, Peter Jensen staged a Hepworth-inspired collection at the Hepworth Wakefield gallery. For spring, Jaeger designer Sheila McKain-Waid names Hepworth as a key inspiration for Jaeger’s first 2015 collection. Keep a sharp eye out for artist portraits: Hepworth’s own in-studio style – think mid-century Margaret Howell – was fabulous. Fashion and Jackson Pollock have history: it is now 63 years since Cecil Beaton shot models in pastel ballgowns posing for the March 1951 issue of Vogue, against a backdrop of Jackson Pollock paintings at the Betty Parsons gallery in New York. 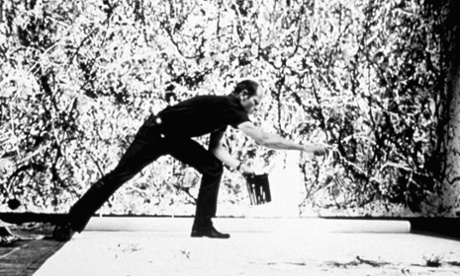 Pollock was a reference for Alexander McQueen’s spring/summer 1999 catwalk show, in which two robots fired paint onto a dress being worn by Shalom Harlow. With fashion moving away from nostalgia and into a phase of experimentation and abstraction, the Tate Liverpool’s summer exhibition Jackson Pollock: Blind Spots (30 June – 18 October) may well reverberate onto catwalks well into 2016. Start planning your Halloween costume right now. 2015 looks set to have no shortage of bad guys to reference. 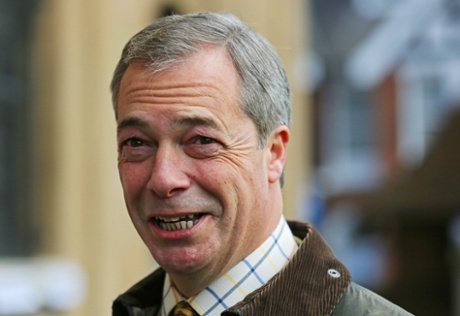 Depending on how the election goes in May you could go mainstream Panto-baddy with a Nigel Farage look. 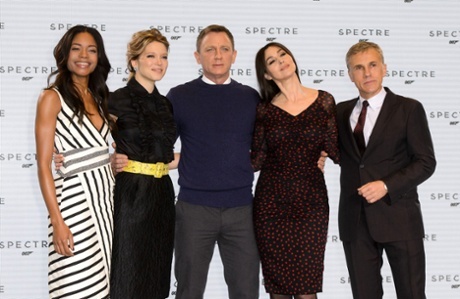 If the Spectre rumours look set to be true (see: November) you could borrow a white cat and jump the 007 gun with a Blofeld look. If you were one of the lucky ones who scored tickets to Benedict Cumberbatch as Hamlet at the Barbican, a Claudius get-up is the perfect excuse to drop that fact into party conversation. At the time of writing, Kim Jong-Il costumes were looking timely. But if anyone asks, we totally didn’t suggest that, OK? The Strictly Come Dancing final is the most glamorous Saturday night of the year by a country mile. Sequins and St Tropez spray-tans still rule on the dance floor, but the advent of an all-female presenting team has seriously upped the style stakes. Tess, Claudia and Zoe reflect a polished version of contemporary, mainstream glamour back at audience: the series 12 wardrobes of Tess Daly and Claudia Winkleman reflected how the jumpsuit has become a go-to Saturday night look. (Daly’s jewel-collared Pucci jumpsuit and Winkleman’s purple DVF were highlights.) Sit back and be dazzled.